So Jim m’lad, it’s time for us to put on our big lad pants and have a frank discussion about your plans for getting home after the Palooza… you know, without killing yourself in a drunken haze on some lonesome highway. You see, trouble is, there really aren’t too many lonesome highways in the lands arrayed about Decatarrr…. there be only busy roads filled with Happy Shiny People… you know, Mommies and Daddies hurrying home with their burbling babies strapped safely into their car seats; Tubby yellow school buses filled with wee little booger-eatin’ knee-biters eager to hug their family goats when they land safe at home; Lovin’ grandparents filled with stories of their family’s checkered history, eager to share it with their grandsquirts; Dear family friends who’d charge through hurricanes to be at your side. Please don’t be the one to take away even one of those precious lights. Get a Room : The Holiday Inn Express is only a block away from the parade route. 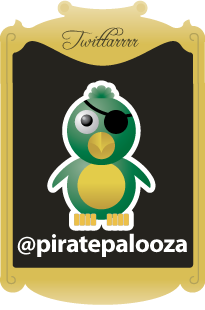 Watch my PiratePalooza™ movies in your room while you sober up. Maybe you’ll score with that little hottie what’s had her eye on you all night… you know, after you sober up. 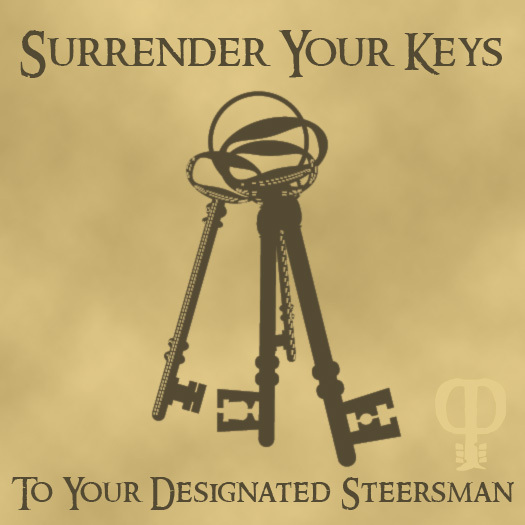 Designated Driver : surely someone loves you enough to stay sober and get you home in one piece? Let them. Be a Designated Drunk-Spotter : Be on the lookout for drunks who may be leaving alone. Stop them. Help find a safe way of getting them home and save a life tonight, Elton. Click on the badge below for a larger version that you can cut out and pin to your shirt so we’ll know to salute you at the pubsing! This be the single-most serious decision of the night ladies and gentle-pirates…. please make the right one. The success of a gussied-together event like this is How You Work Together As a Crew. Don’t do it for me, do it for each other. And for those Happy Shiny People out there on the roadways. It’s a fine goal to be sure, Cap’n! We be sailin’ in from parts unknown, so the local inn by foot ‘r peg will be our final destination. Be ye warned, me mate claims he’s staying sober and serving as “designated walker”. Anyone not fit to stand watch will be keel-hauled in shallow waters, just afore he be marooned on Isla de MARTA!